Happy Monday! 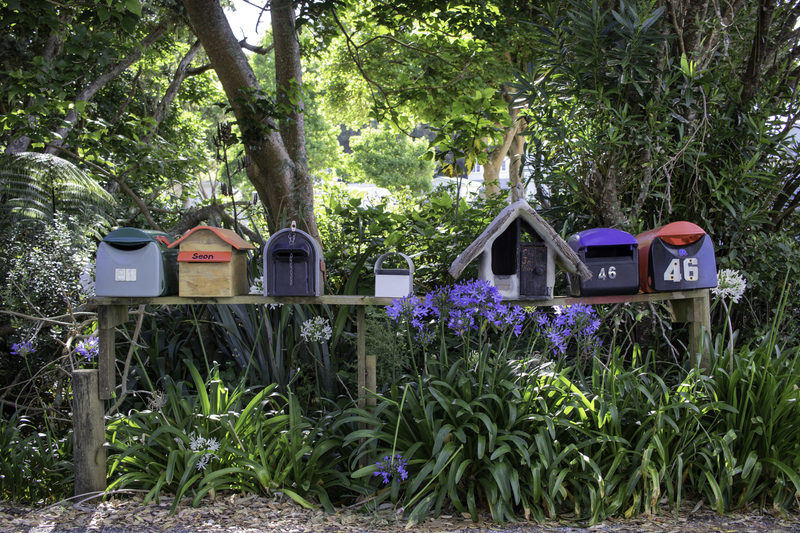 As many of our regulars are digging out from snow, I thought you’d like to consider this tropical, New Zealand mailbox image that might be seen by our friends on the other side of the world. No snow here in the UK – yet! Although it is very grey and depressing and we have been advised that freezing conditions and some snow may be on the way! HI Yvonne – I hope the weather holds out and you stay warm too. We got a foot of snow in DC. CRAZY…The government is shut down…oh wait…some of it was already shutdown for other reasons. No School for my kiddo, so she’s been playing the stuff. Hope you get to enjoy some family and fun time. But stay warm too! I messed up my first try at a link today. Mondays!